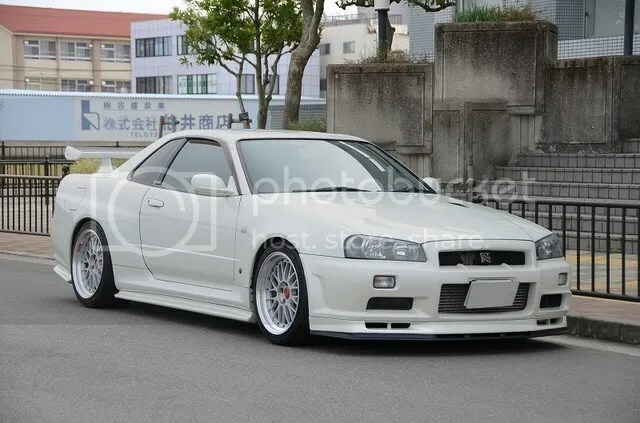 The Epitome of Clean: JDM R34 GTR – MoMoHitsTheSpot! 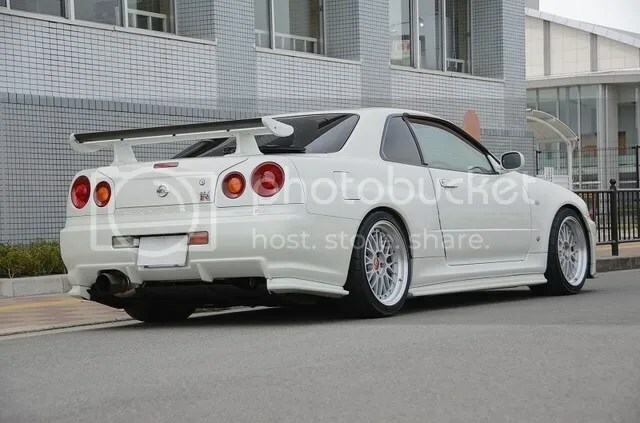 Here’s another beautiful GTR for sale through Osaka based dealer, Global Auto. 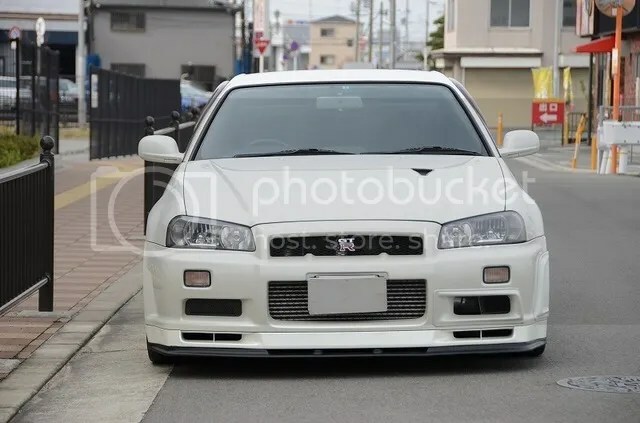 This particular GTR looks especially clean with the help of subtle BBS LMs as the centerpiece of the exterior as well as Aragosta suspension to have the car sitting perfectly. 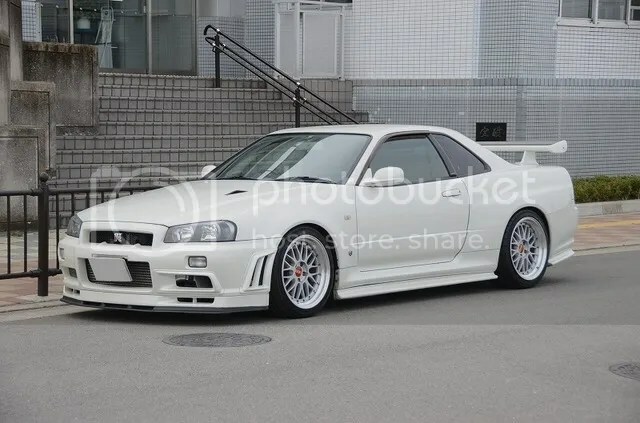 Car is for sale at around 60K USD. This thing carries a hefty price due to the NUR Spec II designation. 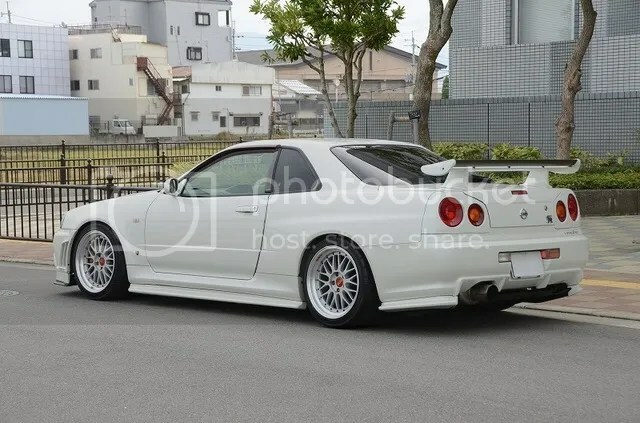 My favorite angle of this car is probably the back quarter with the Fujitsubo Legalis R exhaust showing. 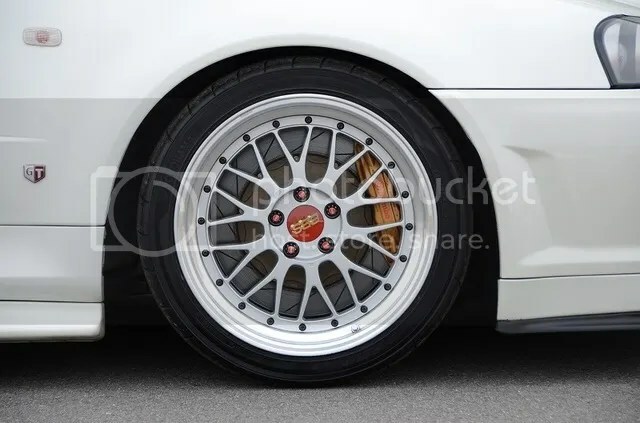 LMs and huge Brembo BBKs makes for some nice footwork. 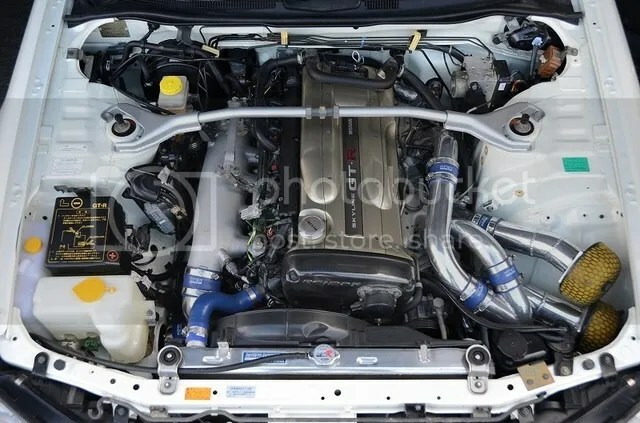 Under the hood is a twin HKS GT-SS powered RB26.